UAE, Dubai, 10 April 2019: Worldwide Distribution Center (WDC) will have the latest products from global manufacturers on offer at Beautyworld Middle East next week. In addition, as the leading distributor of multicultural products across the Middle East and Africa, WDC will also have a wide selection of the sector's latest innovations in hair and skin care available to try at the event. 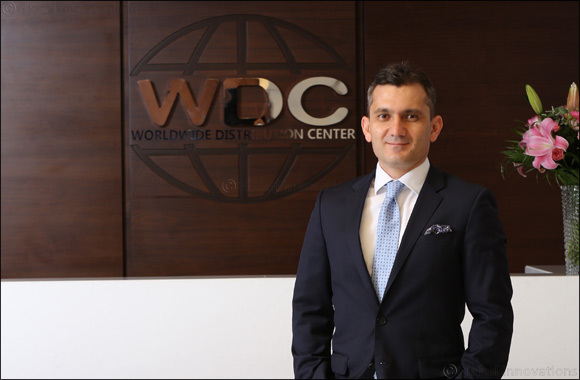 WDC is one of the largest FMCG retail and wholesale distribution companies in the Middle East, specialising in supplying hair and body care products, perfumeries, soap and baby care items. The company will have thousands of products available at Beautyworld Middle East from leading manufactures including L'Or�al, Henkel, Colgate, Strength of Nature USA, House of Cheatham Inc. USA, PDC Brands, Cantu Beauty, Dax and many more. The company supplies thousands of international, local and multicultural brands to retailers across the Middle East, Africa, East Asia and CIS. The three-day Beautyworld Middle East exhibition taking place from 15 to 17 April at the Dubai World Trade Center, is the largest international trade fair for beauty products, hair, fragrances and wellbeing in the Middle East. WDC has been a long-time supporter of the event, participating for the eighth time this year. Khamid Ismatullaev, the founder and Chief Executive Officer, Worldwide Distribution Center said, “The beauty and personal care industry in the Middle East and Africa was valued at around US$32.4 billion in 2018 and analysts Euromonitor International (EMI), are projecting the sector to grow to US$34.9 billion in 2019. We are finding that customers in the region are demanding more innovative products that contain high-quality ingredients, which are effective, time-saving and affordable. Customers want to have easy access to globally-recognised brands and also smaller, niche manufacturers. WDC will be offering special promotions at the company's stand throughout the exhibition. The Worldwide Distribution Center stand is located at Sheikh Saeed Hall 1, G12 in the USA Pavilion.